As the season draws in; showcasing autumnal hues, big knitwear, pumpkins, quality street on the shelves and the Harry Potter movies every Saturday night - it seems that hunkering down and enjoying life indoors is here for the foreseeable. Truly, it’s my favourite season but also a season where I find I sit on a delicate balance of the blues and the joys. So, I thought I would write myself a list of things to ensure I look after my self and those around me to keep it on the side of joy as much as possible. Ever look in the shops at this time of year and wonder who is going to all these Christmas parties and where are those Christmas parties that warrant so many sequins and dresses? Well I’m not being invited to them, so I’ll make my own plans. Christmas outings, mince pies and hot chocolates with friends, woodland walks (forest bathing is IN this season) baking, movie and duvet days. I always find having small things to look forward to improves my mood greatly. I’ve really started to enjoy podcasts… loud music makes me happy, nothing can beat insomnia-faithless while cleaning the bathroom (how rock n roll) but I’ve actually discovered some wonderful podcasts that lift my mood. Right now, I’m listening to ‘Couples Therapy’ with Casey and Candice Neistat and Dolly Alderton’s ‘Love Stories’ also an oldie but a goodie for comedy is the ‘Adam and Joe show’ for BBC6 music. Go forth and listen! Winter can be a season of excess and with that comes guilt but eat the naughty stuff just in moderation! For me it’s not just mince pies but online shopping. There’s no greater thrill than a package in the post! I love being in the kitchen, but a sleepless toddler makes those meals from scratch hard to make in the evening… so instead I’m planning on making chutney and sugars and various baking items and involving her in the process. Time in the kitchen in therapeutic for me… the process of selecting ingredients, chopping and then enjoying the final result… me time and a delicious meal or treat at the end. I am a total one for trying new things, but I’ll admit I don’t always see them through. I desperately want to be able to crochet… I bought all the gear and worked for 6 hours trying to crochet a basic square. I gave up…. So, this year I’m working on my photography and trying to read as much as I can… hobbies don’t have to be all about craft! This is becoming more apparent that it is something I don’t just need but is a necessity. I am an all-round better person if I have managed to have a few hours in the week where it is just me and my head space. Now go away, it’s Netflix time. I have been told this is a good idea… I am yet to set the rules as my job is social media and that relies on phones and screens, but I need to set boundaries with my phone and create some ‘no phone zones’! So, I’ll be making a conscious effort this winter to unplug from technology and be fully present. I won’t lie I fall in and out of love with exercise daily, I’ve never regretted a work out, but I struggle with the motivation to get there. So, I’m going to embrace the movement I do enjoy – walking. I love being outside on a cold crisp day and so does my little one. Exercise and valuable time together… the perfect combination of self-care. So that’s my list, there’s plenty more I’m sure and if you have any other suggestions then let me know! 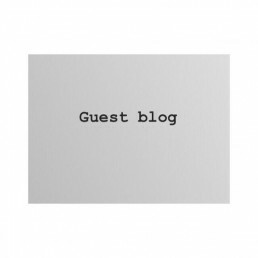 wish to guest blog? lets chat!! I have never been body positive, or confident in my own skin. Perhaps, that comes from my mum constantly criticizing me. I was always jealous of others, and deemed myself not good enough. It has had a devastating impact on my confidence, one that I carried through childhood to now. I didn’t have the self confidence of others, and I suffered from eating disorders as a teenager. It wasn’t until after I fell pregnant with Elijah and then again with Harlow, that I realised how much pressure and unrealistic expectation is really out there. There is pressure on is on a new mother to suddenly regain the body she did before she feel pregnant, despite growing and accommodating a human (or two, or three!) and giving birth. I had two fairly large babies and I found it perplexing that we were being pressurised by what we saw in the media, adverts and magazines sometimes sadly ones aimed at parents that we were failing if we didn’t fit into our skinny jeans 2 weeks after giving birth. Even family members were telling me towards the end of my pregnancy that the weight will soon come off afterwards. Every day I was told I was big, I was small as if my uterus was now up for public discussion. We are made to feel that if we don’t have a full face of makeup and sport a perfect up do we are ‘scummy mummies’. We as a society love to shame others. We are constantly bombarded with images of perfection that do not mirror real life. Even more now we live in the age of social media. We are told we must change our bodies, our faces, our hair to look like this, to be that and to not accept and be proud of who we are. I am still a very self-conscious person, but I want my two boys to be comfortable on their own skin, to be body positive and to have the self-confidence I never had. I knew it would be easy for me to pass on my insecurities to my children but I knew I had to be the one to set a good example. Especially with Elijah who has an incision ‘zipper’ scar running down his chest from open heart surgery. When we took Elijah swimming for the first time I was worried that people would stare, they would look at him and make comments about his chest. A friend of ours at the time was very blunt with me and said, who cares? He should be proud of it. Ever since then I have always promoted body positivity in both of my children. Slowly, some big brands have cottoned onto the fact that they are responsible to promote body positivity, but we still have a long way to go. The language we use for example, phrases like ‘plus size’ I believe are still detrimental when actually they are likely to be of an average size that many of us can resonate with. I don’t think it was until after I had children that I realised how important it was as a parent to promote body positivity. 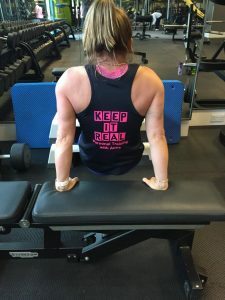 I do not hide my body in front of them, as I want them to know what a real body looks like, one that has had two children and given birth twice! I want them to know a woman doesn’t need to wear make up to look pretty, she doesn’t need an elaborate hair do to fit in with everyone else. That it is okay to feel comfortable being who you are, looking like what you do. I want to teach them to be accepting of everyone and to never judge anyone just by looks, or by societies expectations of them. I want them to know the adverts that they see and the images on social media aren’t necessarily the real world and to never compare themselves to them. Most of all, the gift I want to pass onto my children is one I didn’t receive myself, I want them to be truly comfortable in their own skin and proud of who they are. 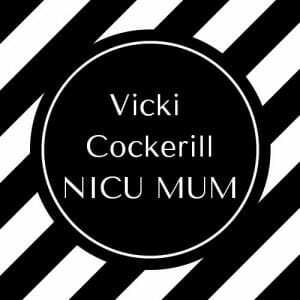 Vicki regularly blogs for me, along with other guest bloggers check out some here ! Pregnancy yoga! Every Wednesday i whip on my ‘over the bump’ leggings and borrow my husbands plain grey t-shirt and head out. I bring a bottle of water with me and snacks, thinking i'll be working out a sweat. But in reality i join a group of ladies sitting cross legged on mats with pillows and blankets and we introduce ourselves and share our experiences so far within our pregnancy. We chat, discussing birthing techniques and breathing exercises . And then we practise our yoga poses and finish with a treat biscuit. It’s really great to know your not alone with any pain your suffering , and any fears you may have. 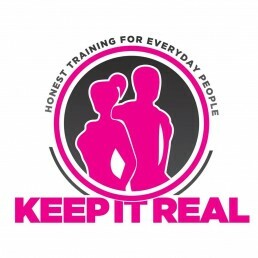 As in reality only pregnant women know how pregnant women feel, it’s good to have a network, it makes you feel empowered. I treated myself this week (well partly). For my birthday friends brought me a ‘mum to be’ massage at the ‘Imagine Spa Blofield’, i finally booked it and i decided to add on a facial too. The beautician was great, she discussed my needs and desires, of which i replied… ‘Make me feel brand new!’ and i do! With still slight wrinkles but i look alot less tired! I can tell the baby loved it too as i felt lovely soft kicks and tumbles under my belly button throughout the whole spa experience. It felt like we had somewhat quality time together where i could really connect, it was beautiful. Such a TREAT! and I felt like a new women strutting to my car. Our Nursery is coming together wonderfully, we had 2 plasterers working on the nursery on a very hot sweaty sunday and we’ve now had it painted a beautiful pale grey which will go great with our new white furniture. Dad to be is now very excitingly beginning his ‘mural’ on the wall above where the cotbed will sit. We decided on ‘old school’ original Winnie The Pooh, consisting of Pooh holding onto a blue balloon floating up into the wavy branches above to find the honey nested around flowing leaves. We’ve loved reading the stories to our little one and i’m sure baby knows our voices as i can feel loving hugs becoming stronger each day. As with many other baby mumma’s i’m sure we would all agree it’s been lovely to have sunny skies, despite the numerous fans i had scattered throughout my house on every shelf i couldn’t regulate my body temperature with my little bun keeping me toasty. So i’m definitely happier it is cooler as i can sleep better, i feel healthier and i’m back to my perkier self. I’m now excitingly awaiting our nursery delivery from the amazing ‘BabyPages’ in Necton. They were so knowledgeable on all of their products and didn’t hesitate to answer any ridiculous question i may have conjured up. Top Marks! Fully recommend checking them out if you want a good deal on kitting out your nursery! If you have a bad day you are a few taps away from receiving a virtual gin from someone else going through the same thing, and to see a photo someone else’s child planking face down in Morrison’s, makes us all feel like we aren’t going though this parent malarkey alone. We all know about the big parent bloggers and Instagram powerhouses but did you know there were some amazing local Instagram accounts too? First on our Instagram accounts list is of course Jess's! Think sleepy newborns that will make you broody, beautiful maternity shoots, smiley toddlers, and the perfect way to keep up to date with all the latest projects and packages on offer! It really is a beautifully visual account. This Instagram account will have you laughing into your fish fingers. Sally White really does know how to put a spoof spin on many a parental situation that will have you laughing out loud on the bus home. She also brings you relatable posts about politics and feminism that will leave you wanting more. Check out her Gruffalo parody it is one not to be missed! You know those flat lays you’ve always wanted to master? Or how to nail the hands around the coffee cup? Our next Norfolk parent Instagram account has it effortlessly in abundance comes from the fabulous Sophie who can somehow make a bin bag look like professional shoot. This account tracks the highs and lows of running a small business and balance bringing up a small human as well. This account is run by Harper’s mum and it documents Harper who has cerebral palsy and is trying to raise £80,000 to get to America for life changing surgery. This Norfolking parent account will leave you in awe at the bravery and determination of Harper and her family. If you need some inspiration for a child free night out, some morning motivational quotes or the chance to see some of your gram’ heroes then this parenting Instagram account is for you. Run by Emma, this account sees local parents being brought together and empowered by the power of social media. These two Norfolk parenting accounts come as a buy one get one free! Husband and wife duo depicting parent life with their first child Willow. 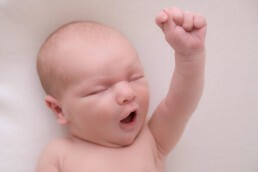 From the ups and downs of sleep training to nursery settling in sessions Jodie and American Tim are sharing the realities of parenthood via the squares. This is an Instagram account with a difference. It sees Katie travelling around our fair region and giving us inspiration on where to go with the fam, and the secret hidden gems of Norfolk. Her beautiful blog and photos make you want to jump in the car and head out straight away! This account is a must follow for anyone who loves beautiful flowers, interiors and outfit inspiration. Mum of 2 boys and (8 hens!) this is a stunning account to follow and one that will certainly brighten up your feed! 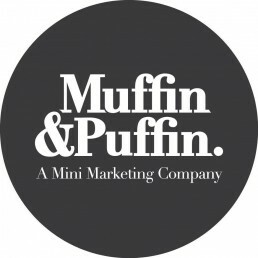 First time mum this is one Norfolk parenting Instagram account to follow if you want to learn more about breastfeeding with cmpa, cloth nappies and coconscious parenting as well as the usual hilarities of weaning and day to day parenting! The last entry on our Instagram accounts is one dad documenting life with his triplet girls, and 2 year old son. He regularly confesses he cant quite tell them apart and it features some adorable photos of the new born triplets and the chaos of parenting them! So, that was our 10 Norfolk parenting Instagram accounts to follow, but we don’t want this to be an exclusive list. We would love to hear your favourite local parent accounts to follow too! Picking your own fruit and veg is a great way to spend a sunny afternoon. As well as giving you the chance to enjoy some of Norfolk’s best produce, it’s a great opportunity to teach your kids a little more about where their food comes from. To help you plan your fun day out, with the help of friends I’ve picked the top five favourite PYO spots for you to explore this summer. At Blofield, you can pick your own strawberries and sweet pea flowers in early June and gorge on raspberries, blackberries, blueberries, tayberries, currants and sweet peas later in the summer. Located just to the south east of Norwich, the farm is open for PYO Tuesday to Sunday throughout the picking season. 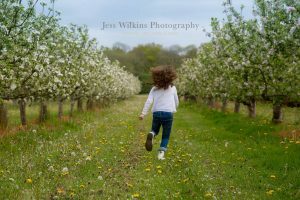 My backdrop for family shoots this year , Whitehouse Farm has been owned by the same family for generations. The tools that decorate the walls were once used to work the land, and although machines have long since replaced manpower, they still add a nice decorative touch to the farm’s café. The cake is epic , and they have lovely shops to browse as well as fruit pick! The strawberry season is due to start in mid-June. You can also pick up fresh cut meat in the award winning butchers and stop for a tasty cake in the onsite café. Hillfield Nursery offers a huge range of PYO fruit. As a result, the picking season at the farm is long, with PYO available from May until September. Among the delicious delights on offer you’ll find rhubarb, gooseberries, strawberries, redcurrants, blackcurrants, raspberries, blackberries and over 200 types of apple among much more. There’s also a farm shop where you can pick up other local specialities. When asking around I found out about Fairgreen Farms & that they specialise in blueberries, so if this is your favourite summer fruit, you know where to go. The season begins in mid-July and should run until September. During this time the farm is open six days a week for PYO. The Tacons farm shop offers a fantastic choice of PYO fruit and veg. As well as classics like strawberries, you can also pick a range of other seasonal produce including onions and pumpkins. The farm is open daily for PYO throughout the season, giving you plenty of opportunities to get out and get active with the family. While you’re at the Tacons, visit the farm shop where you’ll find an excellent selection of other freshly picked fruit and veg from the surrounding fields as well as a choice of high quality local produce. For more ideas on things to do in Norfolk, take a look around my blogs. Top 5 private pools to hire around Norwich. Sometimes going to public pool with a young baby, or energetic toddler (or both!) doesn’t quite have the same appeal as booking a private pool. Being able to wrangle the children in and out of their swimming stuff on your own and then enjoying the pool all to yourselves does sound like the better option to us! So, we have looked around and here are our top 5 private pools to hire around Norwich. This tropical pool is heated all year round, perfect for little ones which is why it features in our top 5 private pools to hire around Norwich. It comes with baby changing facilities and even travel cots. You can purchase Splash Happy Nappies from here as well. Private, and a very relaxed atmosphere makes this pool great for families which is why it is one of our top 5 private pools around Norwich. It is a great place to learn to swim and very family orientated. Lessons are also available. The pool is located just outside of Shipdham, Norfolk. Found 5 miles south east of Norwich, Pearls Pools has numerous facilities which is why we find it in our top 5 private pools to hire around Norwich. It has a wet room, baby changing facilities, pre-sim rooms, and even a lounge area. It has everything you could possibly need for a relaxed family swim. Next on our top 5 private pool to hire around Norwich is Bacton private pool. Pack the inflatables as this 33-degree heated pool is perfect for all members of the family, why not bring along Gran too! With a play area located on the side of the side of the pool and a baby changing station it really is as family friendly as they come. The final entry on our top 5 private pools to hire around Norwich is located just outside of the city centre in Stoke Holy Cross. Maintained at a constant warm temperature it makes it suitable for babies first time in the pool. Changing areas, showers and even tennis and gym activities it has something for every member of the family. Do you know of any family friendly private pools that you recommend? We would love to hear from you, so we can add them to our list! Vicki Cockerill is a NICU/ CHD Mum of two boys, a freelance blogger and social media adviser, Co Founder of #KnackeredandNorwich social club and maternal mental health advocate. More blogs can be found here, and i also would love more guest bloggers baby/ family related , get in touch as i'd love to hear from you! 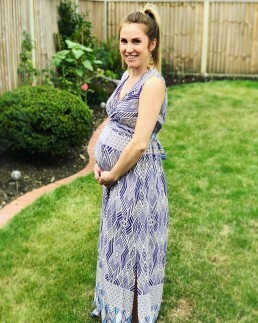 Guest blog from Babyfit are you exercising in pregnancy? If not, why not? 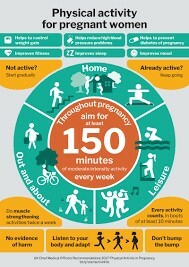 Are you exercising in pregnancy, If not, why not? Most pregnant women who choose not to exercise tell me it’s because they don’t think it’s safe. Or they have been advised by helpful friends and family, often from older generations, that pregnancy is a time when you should do as little as possible. But this couldn’t be further from the truth. Have you ever met someone who has run the London Marathon without doing months of training to work up to the big day? It is true that many pregnant mums spend the first trimester (three months) feeling tired, nauseous and worried, and in those cases, rest is always best. But after your first scan, as soon as your energy levels recover, the best thing you can do for you and your baby is get moving. In fact, the Department of Health recommends aiming for at least 150 minutes of moderate activity each week during a healthy pregnancy. However, it is very important to choose the right sort of exercise. Going hell for leather to achieve peak physical fitness is neither appropriate nor safe. Exercise during pregnancy should be viewed as a positive way to nourish your body and help support the physical and emotional changes you are going through. So where should you start if this is all new to you? Slowly is essential, to enable you to listen to your body until you feel ready to do a little more. A brisk walk, swimming, a low-impact aerobics or dance class are all great ways to get moving during pregnancy. 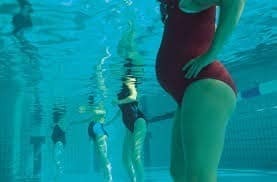 Or maybe you would prefer a class especially for pregnant women? There are plenty on offer. Whatever you choose, make sure you enjoy it and can talk throughout. Still not buying it? What if I told you that exercising during pregnancy might make your labour and delivery shorter and easier due to increased stamina and strength? As well as reducing the need for intervention such as forceps and/or pain relief? Exercise can also help you stay within a healthy weight range, meaning less effort after birth trying to lose your baby weight! It could help you sleep better, feel more energised and reduce the common pregnancy aches and pains like pelvic girdle pain. Catching my drift? If you are now thinking: “Woo-hoo, let’s go!” but have unanswered questions, please don’t hesitate to drop me an email at info@babyfit.me.uk. You won’t regret it !